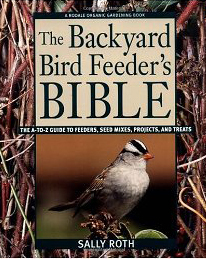 The Backyard Bird Feeder’s Bible , The A-to-Z Guide To Feeders, Seed Mixes, Projects, And Treats is a must have for anyone who likes feeding birds. I love this book and highly recommend it. Right now you can get it from Amazon for $14.28. If you don’t have a bird feeder in your yard, then you really do need to add one. Children young and old love watching birds.